Having recently announced the creation of their own record label, Future Entertainment in cahoots with EMI Music have dished out the deets on the first release to be facilitated through the label Future Music. Dubbed Future Sounds of Summer 2013, the compilation has been pieced together using some of the biggest talent the world has to offer. Mixed by the very capable NERVO and Stafford Brothers, the double album will hit the market November 30. It marks new heights for the Future Entertainment empire, who have been kings in the live music game for more than 10 years now. It Features a handpicked tracklist, meticulously selected by the same team who organise Summadayze and Future Music Festival each year. Described as a ‘super-compilation’, Future Sounds of Summer 2013 meanders through all different corners of the musical universe and presents an agreeably eclectic list of tuneage, including Swedish House Mafia‘s mega hit Don’t you Worry Child as well as Deadmau5, Tiesto… There are just too many to name, but you can check out the full list below. It doesn’t hurt when the delightful sister DJ-duo NERVO and fellow Aussies The Stafford Brothers were in charge of seamlessly weaving the tracks together. 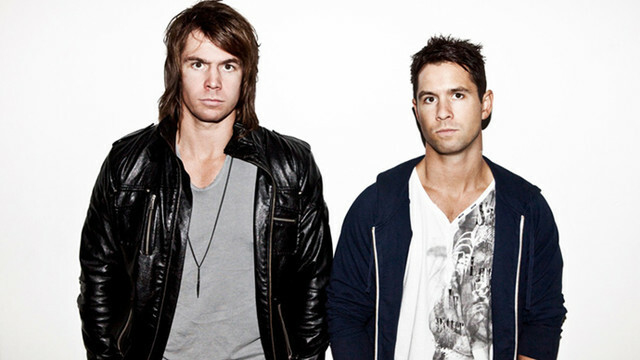 The Stafford Bros even composed their very own Future Sounds of Summer Anthem, which can only be heard on the release. If all this has you super keen and you can’t wait, feel free to pre-order the release right here. Future Sounds of Summer 2013 Tracklisting. 11. Hot Chip – How Do You Do?